As the sun peaks over the eastern horizon, the UT Tower glows orange for a few more brief seconds before turning off. 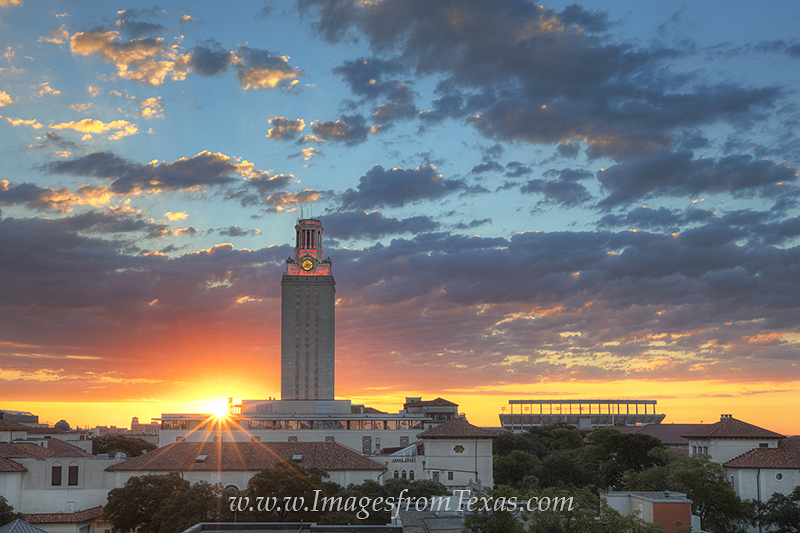 The University of Texas campus in the heart of Austin begins to awaken on this beautiful Sunday morning. Photo © copyright by Rob Greebon.